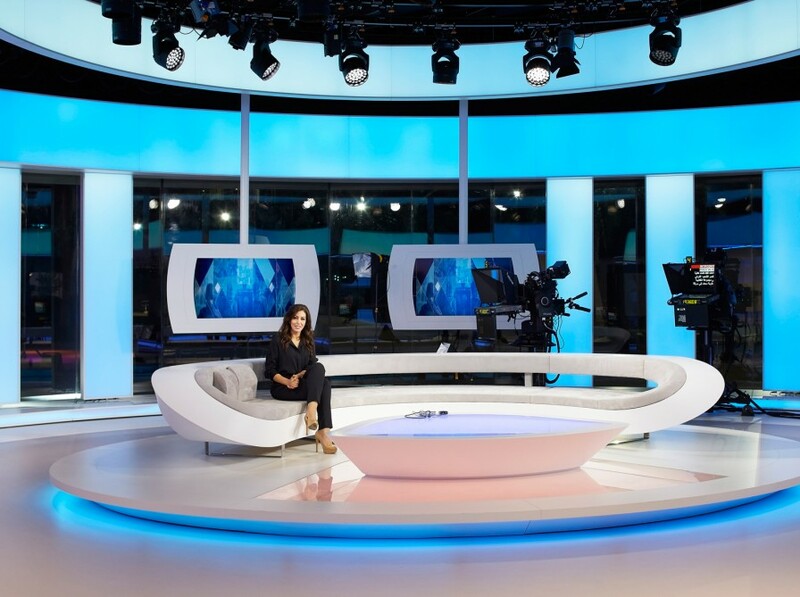 As networks pioneer multichannel platforms and invest in new facilities, VXV are transforming television newsrooms into uniquely agile spaces. With a track record of taking broadcast design far beyond existing ‘black box’ standards, VXV’s latest project includes a comprehensive architectural scheme and an interior media landscape made with integrated digital technologies. 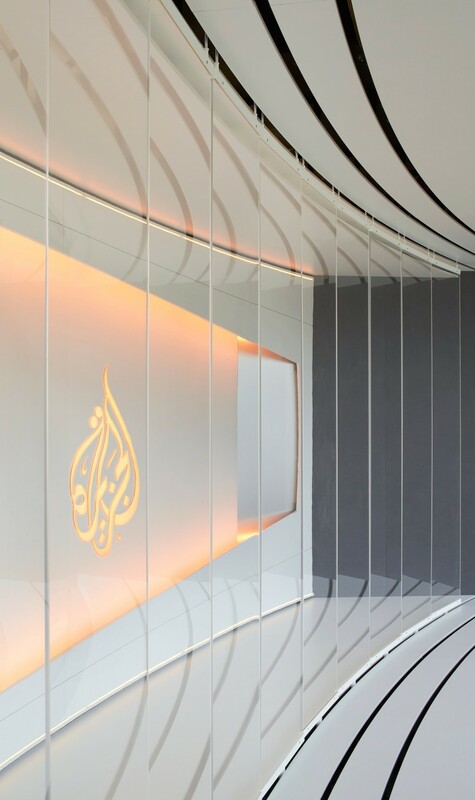 Following the design of Al Jazeera Media Network’s newsroom studio in London’s landmark ‘Shard’ building, VXV were commissioned to create an extension to the network’s English-language broadcast facility in Doha. 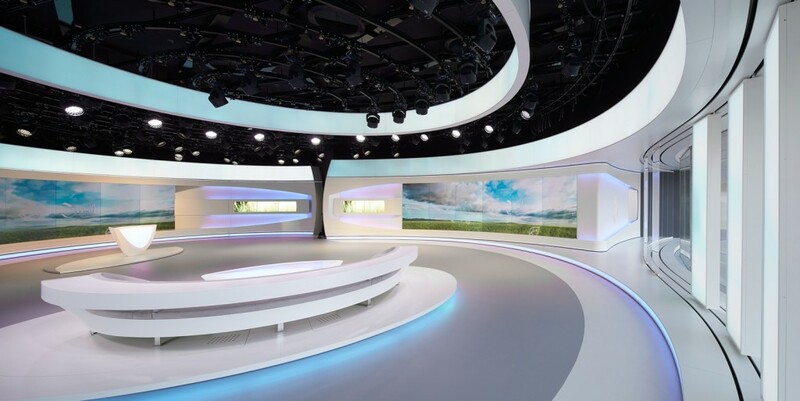 The new broadcast studio is situated at the core of the site, designed from the inside out to create 360º panoramas through the exterior walls. The development contains 1,650m² of broadcast studio space and support areas. Around 7,450m² of landscaped public space will provide a central feature within the facility when completed in the near future. An undulating canopy, precisely contoured to shade the studio’s south-facing glass façade, cantilevers from a 36m lateral structural support. 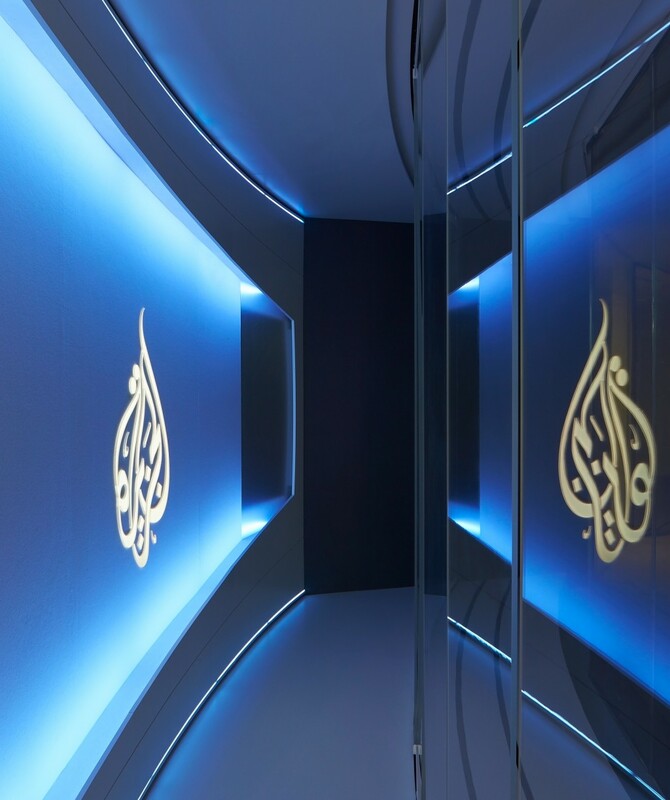 The light exposure is regulated by polarization filter panels integrated into the façade, and balanced inside the studio by digital controllers synchronised with the cameras. 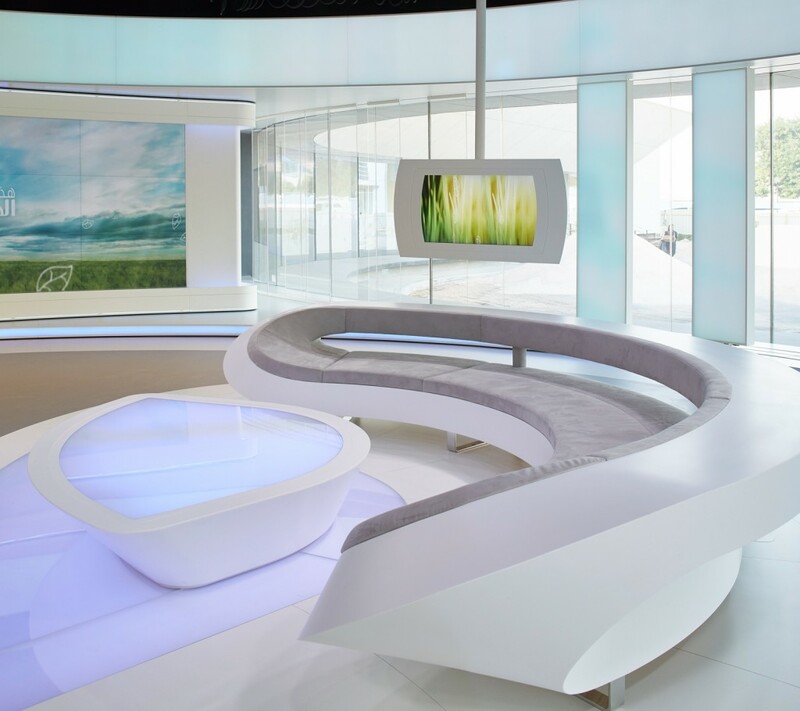 The natural light changes the character of the broadcast studio throughout the day and visually connects the studio to the landscape outside. The choice of smooth materials, such as Corian and tempered glass, contrasts with the furniture’s sharp angles and soft fabrics to heighten the haptic sensations appearing on screen. 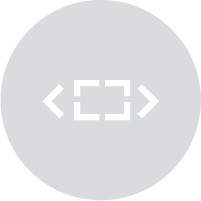 LED lighting arrays and digitally-controlled video cubes integrated into the ceiling are interspersed with custom-made acoustic panels that mirror the curving shapes in the studio beneath them. As the architecture suffuses the sets with shadows and light, their surfaces acquire textures that boost their tactile appeal. 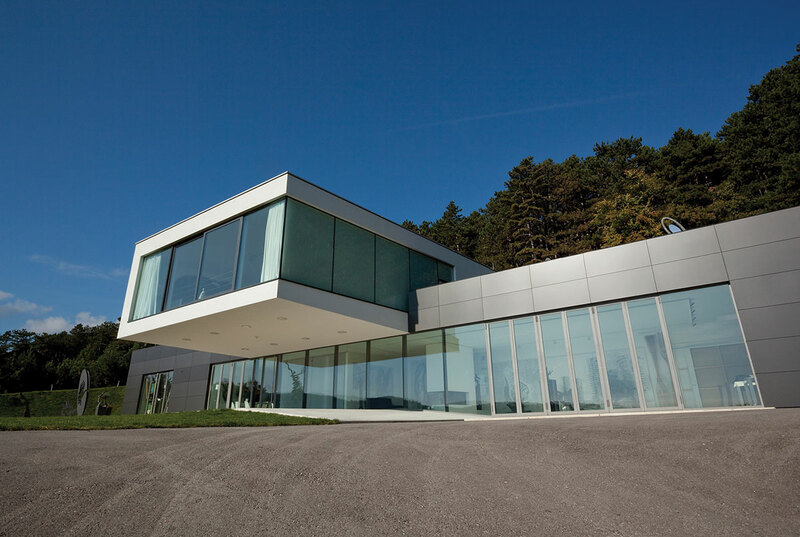 The Network Studio Building provides a compelling new vision for how architecture, studio design, broadcast media and digital media can relate television production to the landscapes around them. By controlling a diverse range of design requirements, VXV introduced a new level of transparency to broadcast environments. 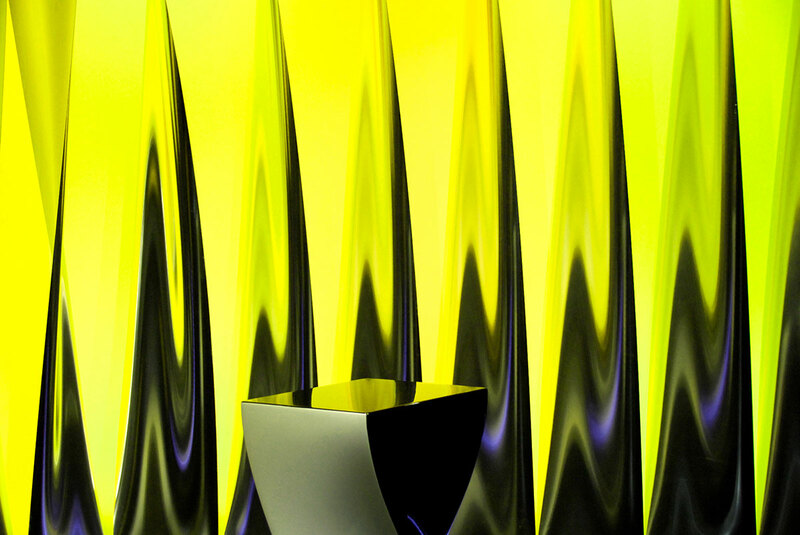 At a time when broadcast networks are looking for new ways to integrate virtual content into real world studios, VXV are creating visionary designs for an increasingly adaptable industry.